After a Yorkshire upbringing and schooling, followed by national service, Brian came to Corpus Christi College, Oxford to read Chemistry in 1957. After a year he switched to Geology, which determined his career. He married Pat in 1963, was awarded a DPhil in 1965 and moved to Eynsham with a growing family in 1969 on appointment to a lectureship. His 28 years curating the mineral collection of the University Museum of Natural History restored a fine but neglected collection to one of the best in the country. 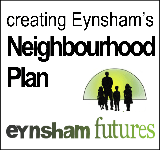 Brian was closely involved in Eynsham affairs, with support for the emerging Eynsham Society (1972); for building the Sports Pavilion (1977); and as an original Trustee of the Friends of St Leonard's (1977-87) with his long-term friend Charles Caine. He also served as president and secretary to the Probus Club. 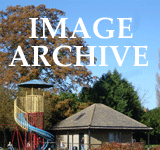 However he will be chiefly remembered for his work with Eynsham History Group. 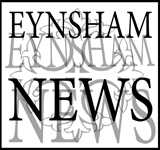 He launched the group journal, Eynsham Record, in 1983 and edited it for 30 years (well served by an eye for cliché and misplaced apostrophe). The long hours writing articles, revising submissions and setting everything out for the printer - including regular “Then and Now” photos, of which the modern were mostly his own - provided a legacy to the village and personal satisfaction. 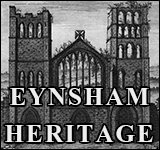 Brian played a major part in rescuing stones from Eynsham Abbey and later (2002) in creating the Heritage Trail around the abbey precinct, with cairns incorporating abbey stones and panels illustrating abbey life. Though frustrated by mobility problems recently, he still revelled in intellectual challenge - no crossword was too hard. Brian and Pat celebrated their golden wedding anniversary last July with all 3 children and 4 grandsons. His family and friends will miss him greatly.